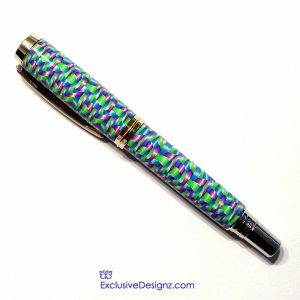 This pen is created using a secret Technique developed over months of trial and error. 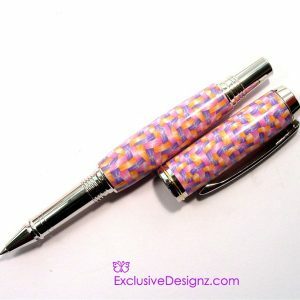 Turned and finished on a lathe for superior strength and durability. 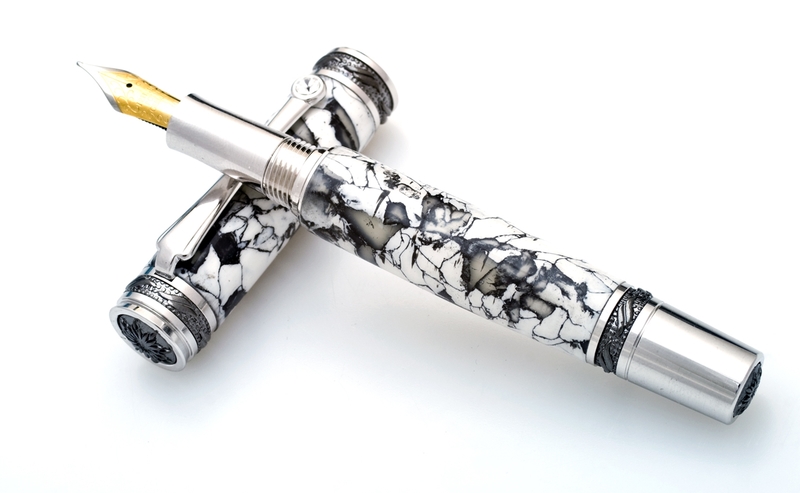 Satisfy your fantasy by owning a truly extraordinary pen. 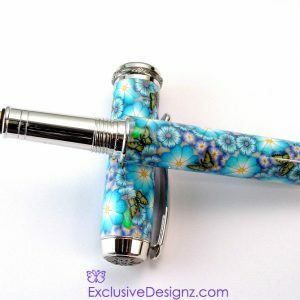 This magnificent Rollerball Pen will inspire your creative talents with this hand made pen. 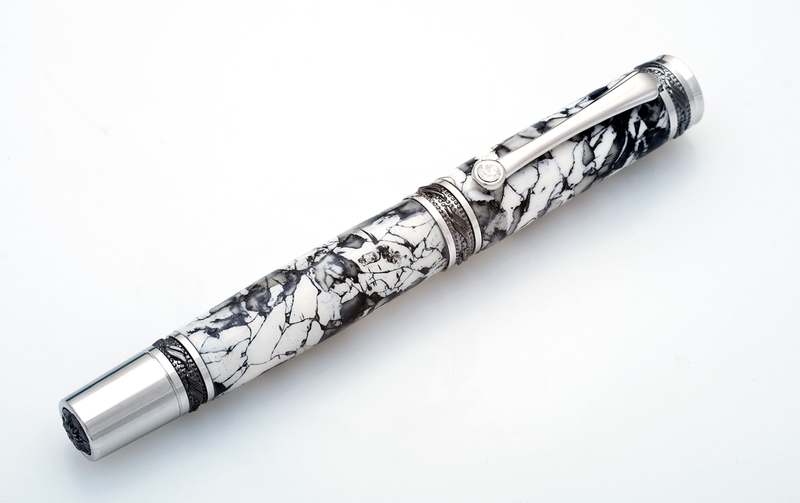 The Majestic will exceed even the most discriminating collector’s expectations. 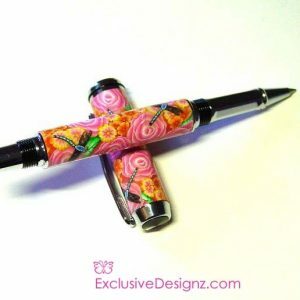 The Majestic Pen includes many remarkable features including: A rhodium-plated clip that includes a sparkling Swarovski clear crystal; All exposed accent rings, bands and caps include elegant custom hand-carved 3 dimensional designs; Components are cast, polished then plated with extremely durable Black Titanium plating; Its regal profile is accented with brilliant rhodium-plating on all components and has a flawless fit and finish; The Fountain Nibl comes with a rhodium-plated nib and a premium Schmidt steel cartridge with a ceramic point; This finished pen is complimented with superb balance, superior writing characteristics and an overall stylish, polished & elegant appearance,Non-Postable cap.